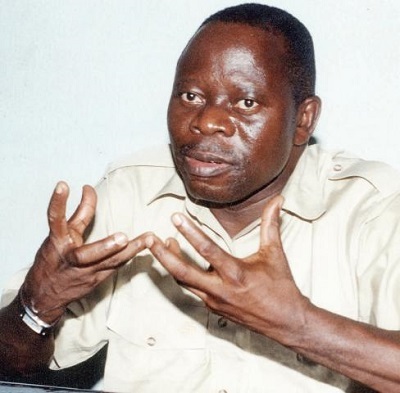 Adams Oshiomhole has denied having a political meeting with the national leader of the APC, Tinubu in London. In his remark, Obaseki said some chieftains of the APC were against Oshiomhole because of the change being introduced to the party to make no one above the law. The governor also said Nigerians would soon begin to feel the impact of what he called the fundamental changes being made by the President. “Some of the fundamental changes started by the Buhari/Osibanjo (administration) will manifest shortly. For the first time, people are now afraid to do wrong. “What Oshiomhole is doing is to institute a regime of change where nobody is above the law,” Obaseki stated. He further stated that his administration would invest massively in infrastructure and support people to grow their businesses or ideas rather than give out free money. He also disclosed that the state government had commenced the training of 4,000 youths to boost security. “One key element is that whatever we do must affect the people. We are stressing our limited resources to work for the people. We will spend money to work for the people,” Obaseki said.